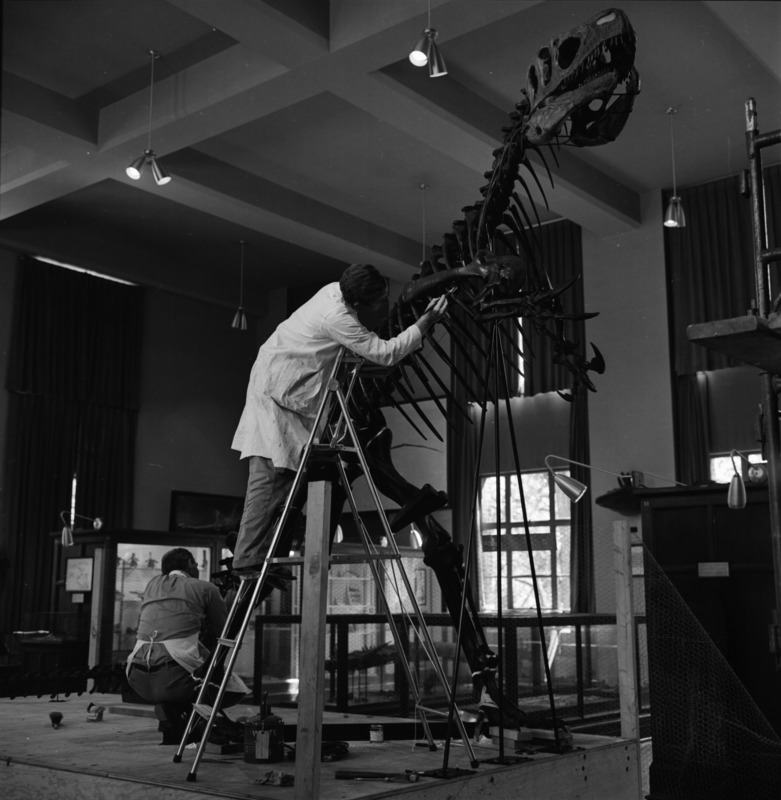 Final touches are made on the restoration of the remains of an Allosaurus dinosaur by William Lunk, kneeling, University Exhibit Museum curator of exhibits, and Joachim Knueppelholtz, a technician. Several days of intensive work was required to assemble the 150-million-year-old bones, found in a quarry near Cleveland, Utah. The upright Allosaurus, a ferocious carnivore, used his massive jaws to feed on fellow dinosaurs. The new addition to the museum is about 12 feet tall.